With first hand knowledge of this beautiful country, we are ideally placed to help you plan your perfect trip. You might like to combine North and South Islands in the same itinerary, or even extend your visit with a stay on a magical South Pacific island or vibrant city in the Far East en route. If you have longer, why not combine with a selection of Australian must see destinations for the experience of a lifetime! Get the benefit of knowledgeable guides on an escorted coach tour in air-conditioned luxury. Choose from a range of itineraries between 5 and 28 days duration. For variety, combine a coach tour on either South Island or North Island with self-drive car hire, a motor home or rail options on the other island. We can help you plan the itinerary that suits you, whether driving your own motor home or staying in strategically placed hotels with your own hire car. Hotels to suit every budget, from homely farm stays and bed and breakfast accommodation, to motels and luxury properties. Auckland � Gateway to the island, the city of sails. The Bay of Islands �Enjoy a cruise or swim with dolphins. Coromandel � Tropical rainforests, volcanic landscapes, and thermal springs. Rotorua � Spot the kiwi and experience Maori culture. Wellington � Capital and cultural centre. Picton � Arrival point if crossing via ferry from the North Island. Short drive takes you to Nelson, sunshine and arts capital of the country. 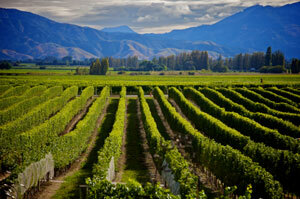 Blenheim � In Marlborough country, home of some of the world�s best sauvignon blanc wines. 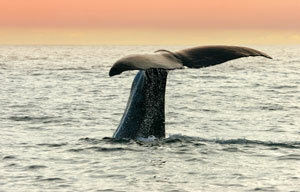 Kaikoura � Try a whale-watching excursion. Fjord lands � Spectacular scenery, and opportunities for a cruise up Milford Sound, a cave visit or an extensive walk along the Milford Track. 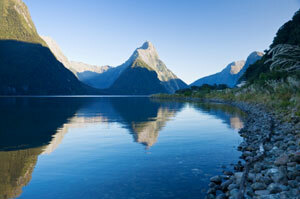 Queenstown � Action packed centre for outdoor activities. Fox glacier � Take a heli-hike onto the glacier and marvel at the geological formations. Greymouth � Travel on the famous Tranz � Alpine train across the mountains to Christchurch. Christchurch � Relax in the botanical gardens the arts centre or aquarium in this charming city. For further details or to discuss your travel plans please e-mail us via the Contact Us page or call us on 01732 460666.